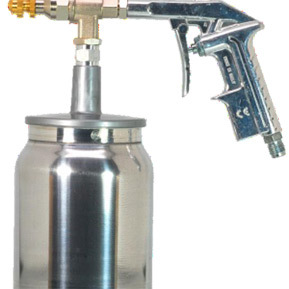 Spray gun designed for the application for rust protection and undercoating. 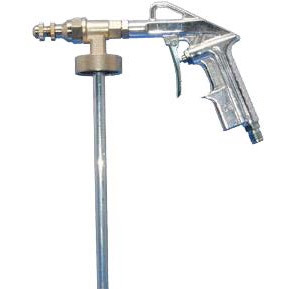 This gun has a threaded collar which allows for direct attachment to Noxudol 1 Liter Canister. This gun is equipped with an Aluminum suction plunger.